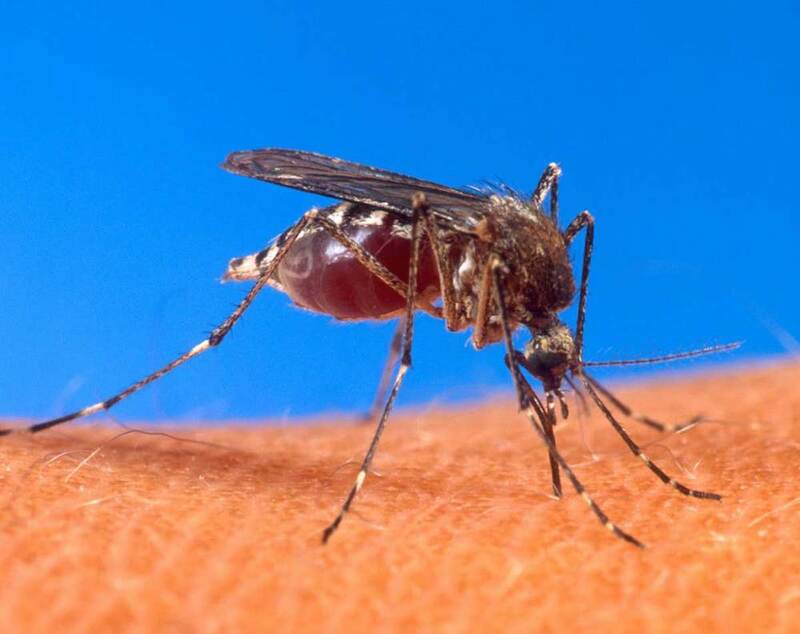 West Nile Virus is a mospquito carried virus that can cause a mild to a very serious illness. Symptoms can be nothing more than a mild fever or no symptoms. It can also rarely develop into to the most serious form causing meningitis or encephalitis. This disease develops after the bite of an infected mosquito. People will not get infected from a direct contact with infected people, birds or animals. 80% of people infected will have no symptoms. Most people having symptoms will complain of fever, headache, bodyache, nausea, vomiting, and sometimes swollen glands. They can also develop a skin rash on the chest, stomach and back. Less than 1% of people will develop the severe illness with meningitis or encephalitis. The symptoms of the most severe form include high fever, headache, neck stiffness, stupor, disorientation, coma, tremors, convulsions, muscke weakness, vision loss, numbness and paralysis. Persons older than 50 years have a higher risk of developing the most severe form of the illness. There is no specific treatment for West Nile Virus infection except common fever reducers or pain relievers like acetomenophen (like Tylenol) or ibuprofen (like Advil or Motrin). About 10% of people developing the most severe form will die. If you feel your child is develping the most severe symptoms please take them to Children's Hospital Emergency Department for evaluation and care.